NICI-Mania - i ♥ Love NICI Plush Toys: Poor NICI Monkey!!! I found something really terrible today. 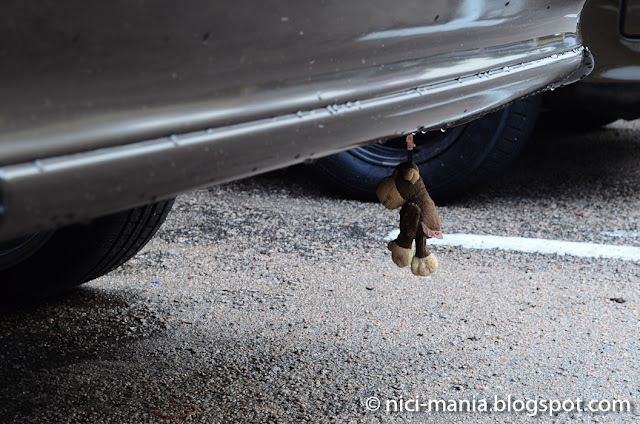 A poor nici monkey suffered a cruel fate. NOT FOR THE FAINT HEARTED! You've been warned!! A poor nici monkey being HANGED by the head below the bumper of a car.. 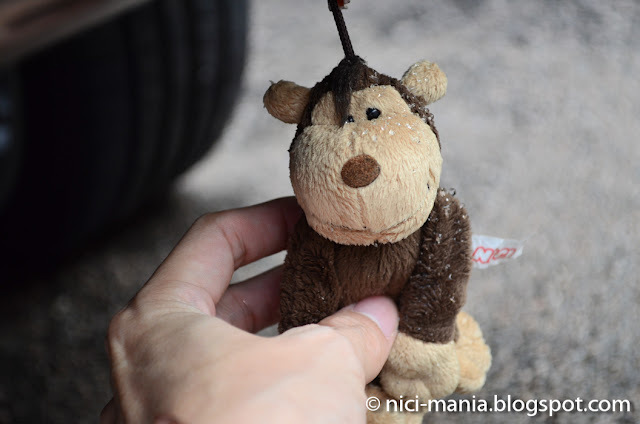 It has been a rainy day and the poor nici monkey got all wet and dirty with the sand from the road all over him. Look at his SAD face, I can't believe it.. I don't know who in the right mind would hang a cute soft toy below the bumper of their car, even if this is not a nici monkey but some other stuffed toys, it is still so wrong! 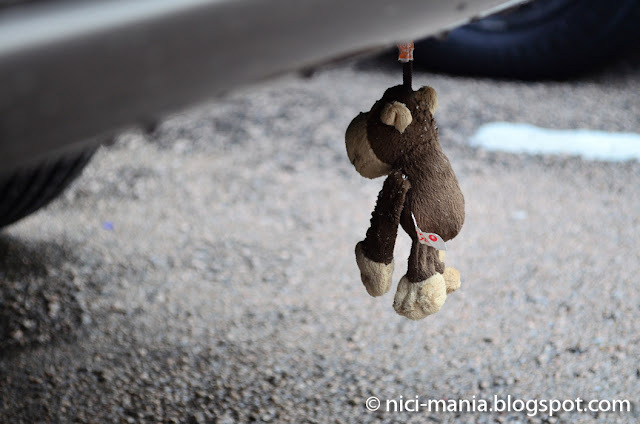 If anywhere on a car the nici monkey should be hanged, it should be on the rear mirror or anywhere in the car. I guess it is probably belong to a car mechanic, it shouldn't be so easy to hang things at car's bumper ... ?? It is a place to hang a little weird. 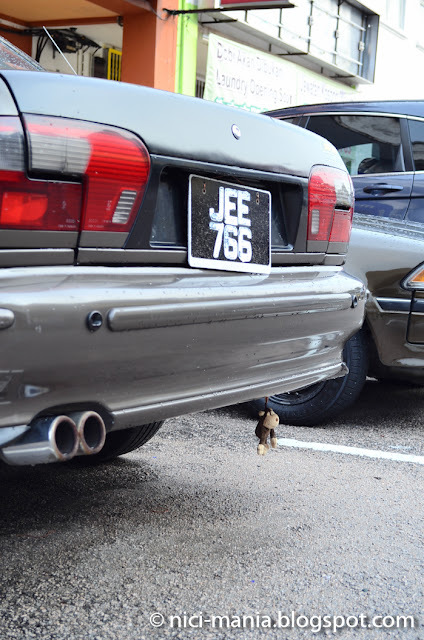 If you want to hang on the car is not best done inside the car... sure would be much better. Omg so cruel.. plushies belong to fluffy beds!!! or sofa or drawer or cupboard.. not underneath a car GRRRRrrr.. makes me angry! What a cruel person to handle a cute plush like this! Our flock feels so sad that they cannot help the poor monkey, cry... Who ever does such terrible things must be a person without heart!!!! Makes me also very angry!!!! @RaquelThe monkey surely have suffered quite a lot being bumped and splashed with dirty water everyday..
@NICI-WildfriendsGood to know that if he's not an original nici monkey but we still feel sad for him too..If we ever see him again, we'll 'rescue' him! 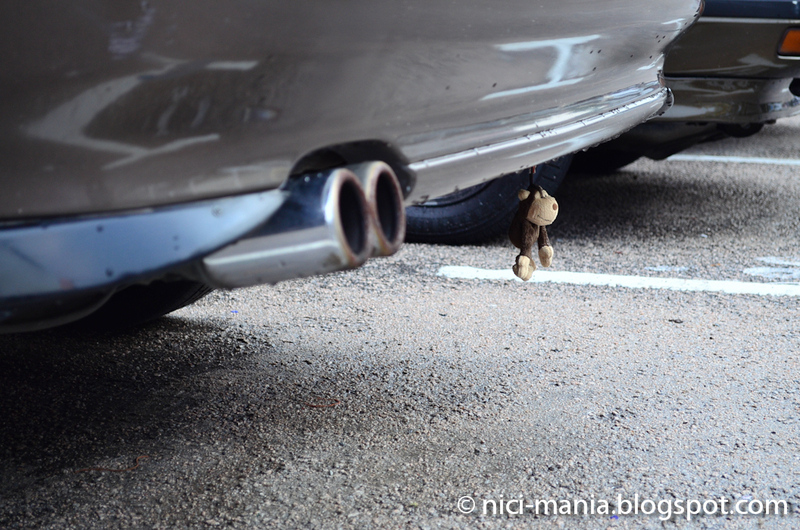 Hi, ant idea where I can't get the nici monkey? Sorry but do ya know what size do they still carry over there? Is the lying one still available?